Holy Crap I should learn how to spell! Holy crap what an incredable LP, remember buying it from Dischord the when it came out in 1989. My friends and I thought it was the next best thing to sliced bread! 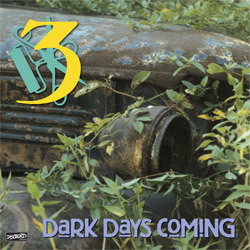 Three's full-length record, released in 1989. This 10-song album was re-mastered and re-issued on CD and 12" LP in September 2010. The CD features eight extra tracks taken from the band's demos. The LP comes with a free MP3 download, which includes the additional songs. These tracks are also included with the digital release.